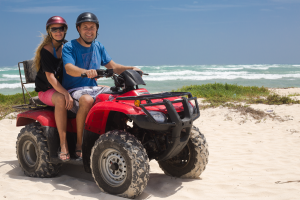 When we talk about great experiences at Cozumel you cannot miss out on ATV Adventour! 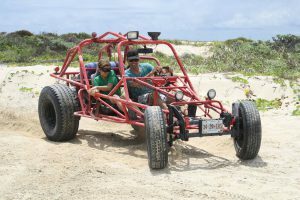 You will ride on our Honda TRX 350 Quadbike as you make your way through the jungle from El Rancho to Mezcalitos beach. 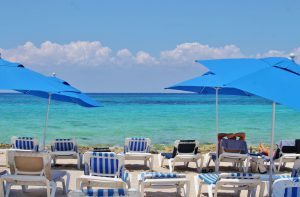 You will not regret the sights you’ll see and the incredible beach that awaits for you at Mezcalitos. This is a 2 hour ride and you can choose between a double quad-bike or a single one. You can also experience the journey of a life-time on the trip to El Castillo. This is a only single bike ride due to the fact that is a 3 hour ride to one of the most ancient Mayan ruins on the island. You’ll ride your way through the jungle in order to witness this great piece of ancient architecture. 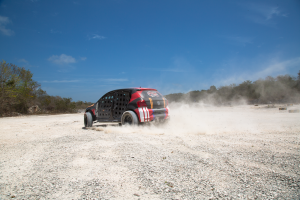 We’re sure you won’t regret both of this tours when you come to Cozumel.